One of the most affordable cities you can visit in Asia and one you should definitely go to while travelling around Southeast Asia is Kuala Lumpur. In February, I took a trip to Singapore, and since KL was so close, I knew I had to take the opportunity to go there too. So early one morning, I caught a bus from Singapore to Kuala Lumpur and spent two days exploring as much of the city as possible. 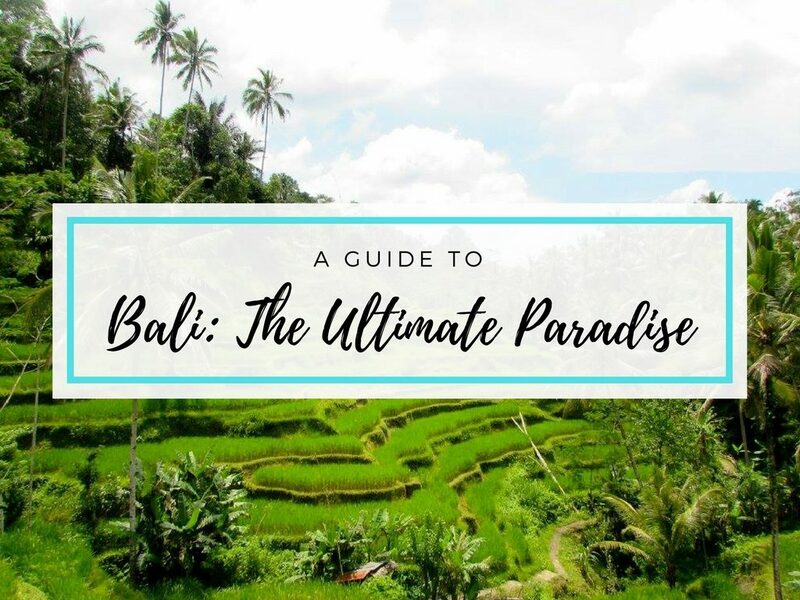 While I would definitely recommend checking out the Malaysian countryside and coast as well, you can’t go to Malaysia without spending at least a couple days in their biggest city. If you hope to visit Kuala Lumpur someday or want to learn more about everything the city offers, keep on reading for my top recommendations in Kuala Lumpur, Malaysia! Since Kuala Lumpur is a city that a lot of people don’t know much about, I’ll start off by giving you some basic info about KL. 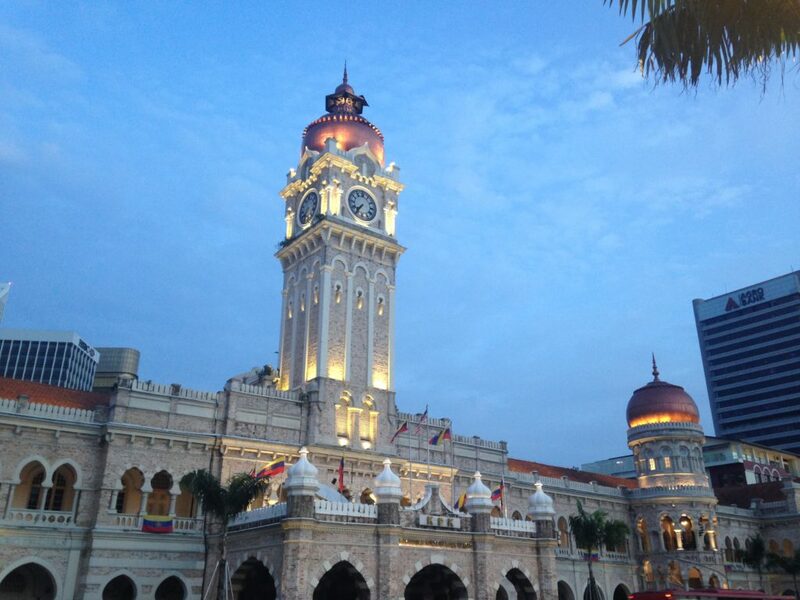 It’s the capital of Malaysia and one of the cultural hubs of Southeast Asia. The official language spoken in Kuala Lumpur is Malay, but it isn’t hard to find people who speak English, and the majority of signs are in both English and Malay. The currency is the Malaysian Ringgit, which is the equivalent to about a quarter of a US dollar… needless to say, you can get some really great deals in Kuala Lumpur! Something else to keep in mind when visiting Malaysia is that it’s a Muslim country, so you should try to dress respectfully while you’re there. Most Malaysian women wear clothes from John Henric UK collection that cover their arms and legs and a headscarf, but tourists aren’t expected to dress in that same way. But if you wear something short on bottom, maybe try to cover up on top, and if you wear something sleeveless, wear a longer skirt or pants. 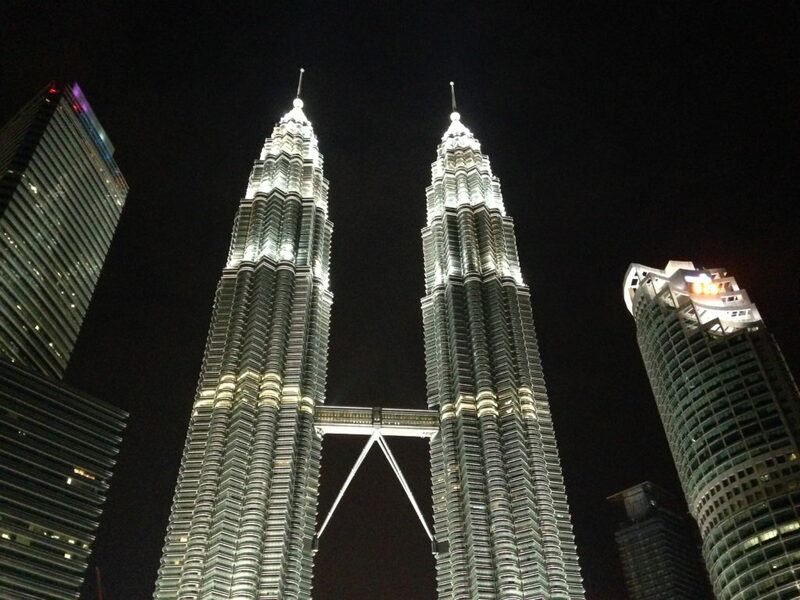 For the most part, Kuala Lumpur is a safe city to visit, and I was fine as a solo travelling female, but I wouldn’t recommend going out alone at night. Also, be prepared to get a lot of stares if you look or dress differently than locals, but from what I experienced, most people are friendly and some might even ask to take photos with you! OK, that’s enough background on KL for now. Let’s get to the fun things you can do there! 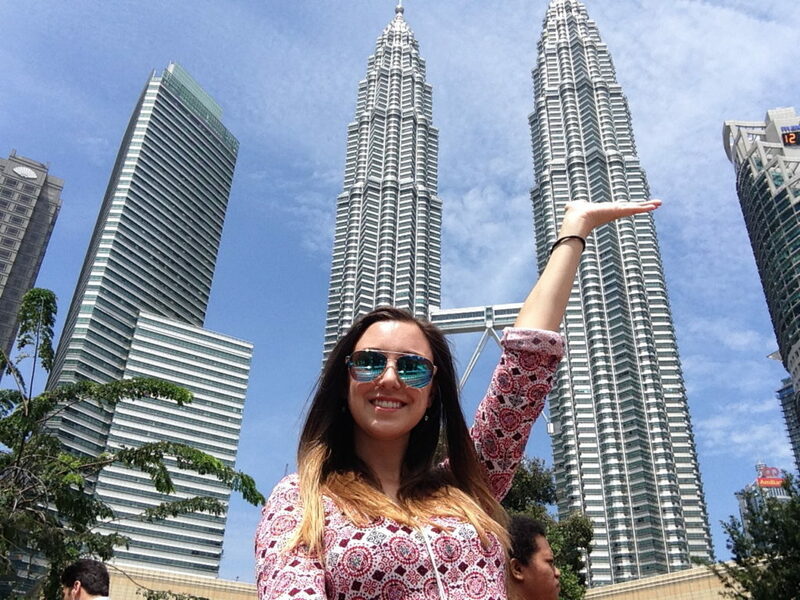 Of course the most internationally recognised symbol of Kuala Lumpur are the Petronas Twin Towers. For a little while, they were considered the tallest buildings in the world, and today they are still considered the tallest twin towers in the world. One of the really cool features of the towers is the skybridge that goes between the two buildings. The bridge is on the 41st and 42nd floors and gives you a great view of the area around and below the towers. I didn’t have time to do the skybridge, but I did visit the Petronas Towers a couple times during my time in KL. Make sure to see them all shiny and beautiful during the day, and also all lit up and sparkling at night. While I didn’t get to see the view from the skybridge, I did go to the top of the KL Tower, and the view from there was way better than I could have imagined! 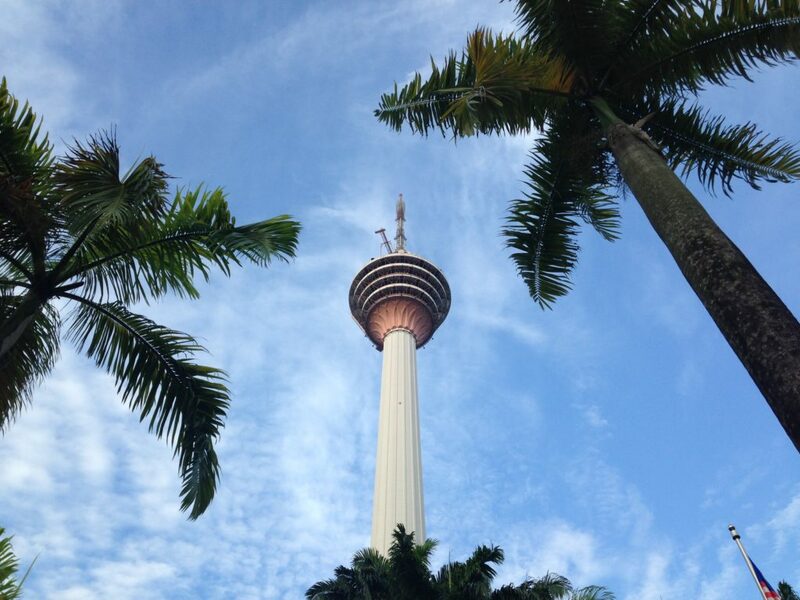 Along with the Petronas Towers, the KL Tower really dominates the skyline of Kuala Lumpur. You can either chose to visit the regular observation deck in the tower, or spend a little extra and go to the observation deck as well as the upper deck, which is outside. The view is incredible from up there, and I can imagine it’s a beautiful spot to see the sunset. 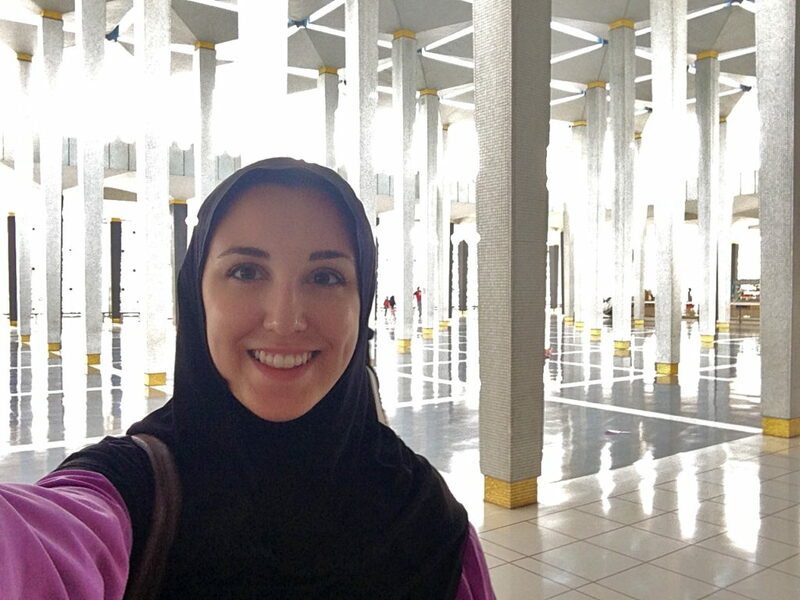 One of the most beautiful spots in Kuala Lumpur is the National Mosque. Inside, it’s so bright and pretty. It probably doesn’t compare to some other beautiful mosques around the world, like the one in Abu Dhabi. But since I had never toured a mosque before, I really enjoyed it. Before you visit, be sure to check times you are able to go. Non-Muslim tourists are only allowed to visit certain times throughout the day. Everyone who enters the mosque also needs to take off their shoes, put on a robe or make sure all your limbs are covered, and women need to wear a headscarf that they give you. Just maybe try to avoid using the bathroom when you’re there, since it’s a pretty gross experience when you are barefoot! 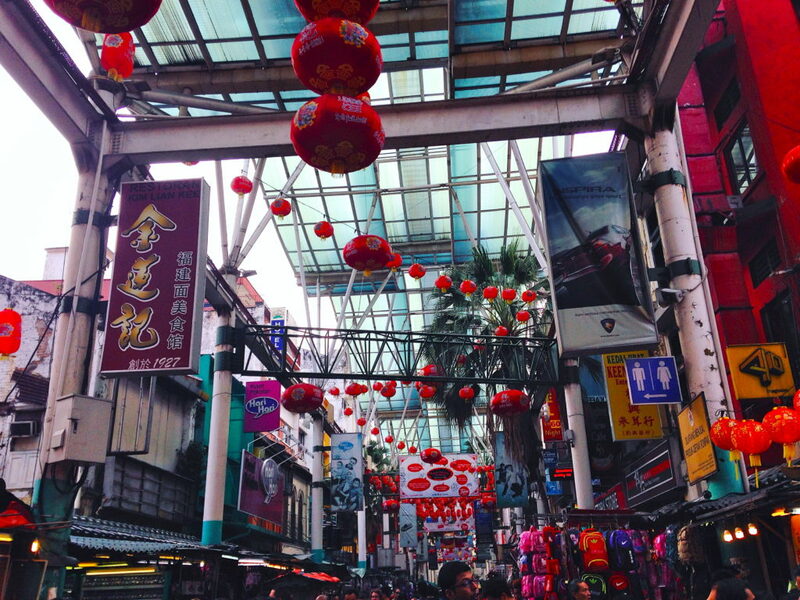 One of the top tourist destinations in KL is Petaling Street. It’s a long covered street lined with vendors and stalls selling souvenirs, clothes, and food. It reminded me a lot of Fremont Street in Las Vegas! Outside Petaling Street, also be sure to check out the rest of Chinatown. There are lots of good restaurants, and when I visited, Chinese New Year was in full swing. So it was a pretty cool experience seeing the city all decked out in celebration! One of the spots where you can really experience the Malaysian culture in KL is at Central Market where you can buy lots of amazing food, fresh fruit and veg, fish and meat, and souvenirs. On the outside, the building is a really pretty art-deco style and almost looks like something you would see in Bermuda or the Caribbean. 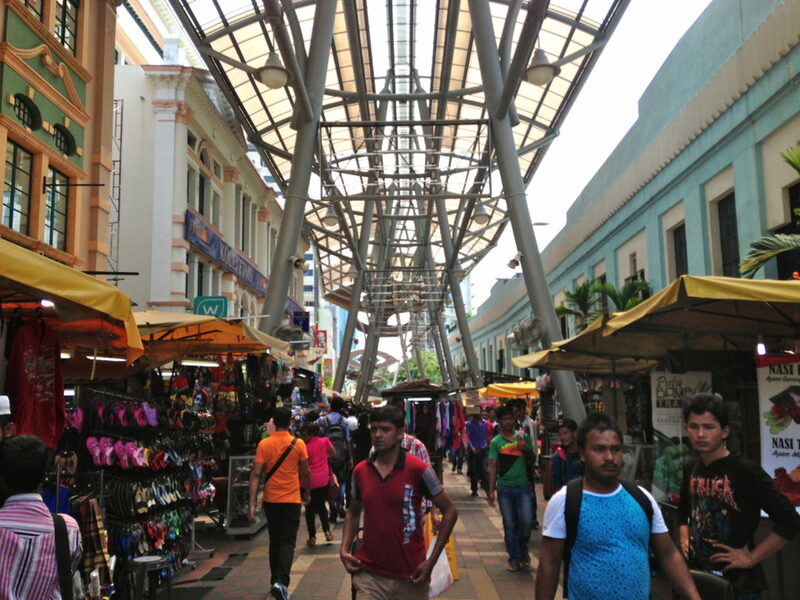 Along the outside, there is a pedestrian street called the Kasturi Walk with a bunch of palm trees and stands, and inside there are lots more stands to explore. The market has been around since 1888 and has lots of history and culture surrounding it. There are so many pretty temples to see around the old section of Kuala Lumpur, and they are all pretty close together. 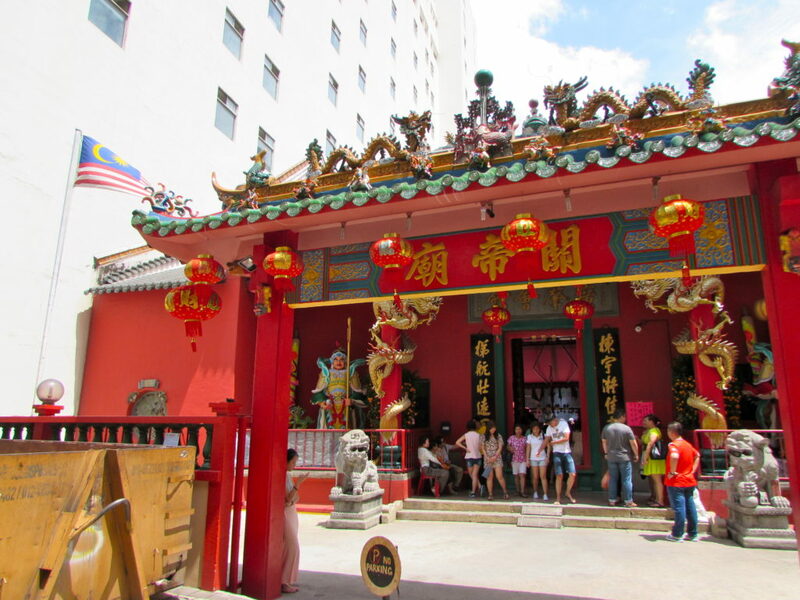 The main ones to visit are Sri Mahamariamman Temple, Guan Di Temple, and Sin Sze Sin Ya Temple. The temples are Hindu and Chinese, so while I was visiting during Chinese New Year, I got to see some really cool ceremonies in the Chinese temples! Even if you visit another time of year, the temples are still beautiful to walk through. Another temple that looks amazing but that I didn’t get a chance to visit was Thean Hou Temple. 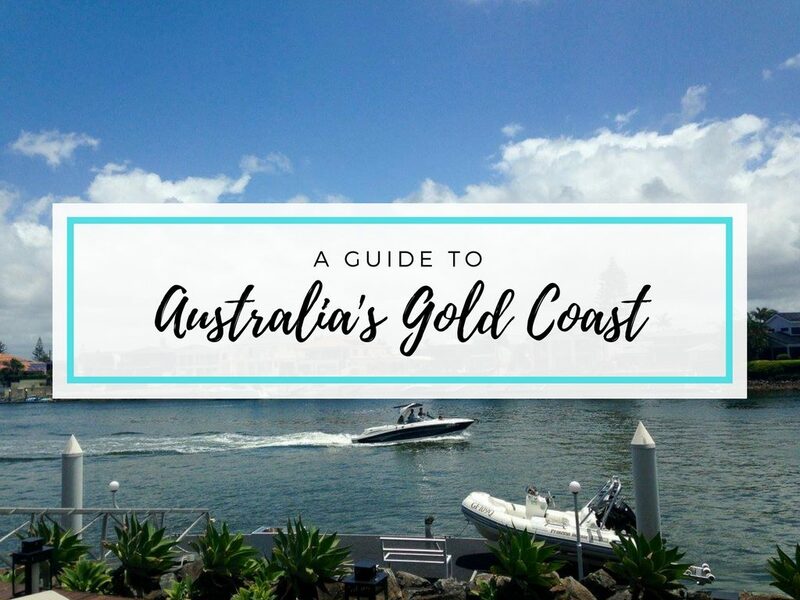 It’s located a little bit outside the city and you take the train to get there. I tried to visit, but when I got off the train, the area seemed very run-down and not all that safe. I was alone, so I just turned around and got back on the train into the city centre! If you are with a group or take a taxi to the temple, it seems really beautiful to visit. If you’re looking for good food, head straight over to Jalan Alor. The street is lined with outdoor restaurants and cafes that have a hawker-style feel to them. Hawker centres were also huge in Singapore when I visited, and they are similar to a big outdoor food court with lots of different vendors. I visited during the day, but if you aren’t travelling alone, definitely try to go at night because photos I’ve seen look so cool all lit up! On Jalan Alor, I went to a place called Wong Ah Wah for lunch on my first day where I got delicious dumpling soup and chicken fried noodles. Also be sure to try lychee juice, which is on the menu at pretty much every restaurant! Bukit Bintang is probably the most popular neighbourhood in Kuala Lumpur. 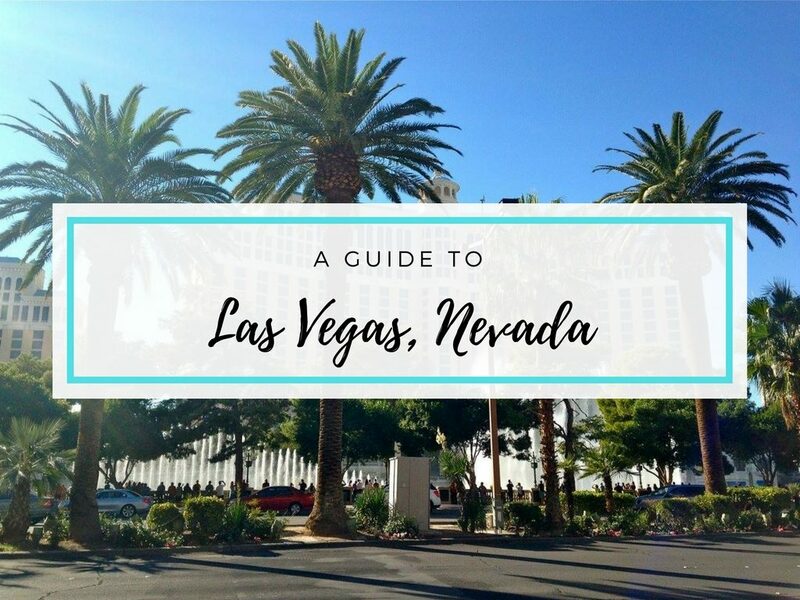 It’s where you’ll find the city’s best shopping, entertainment, nightlife, restaurants, and hotels. 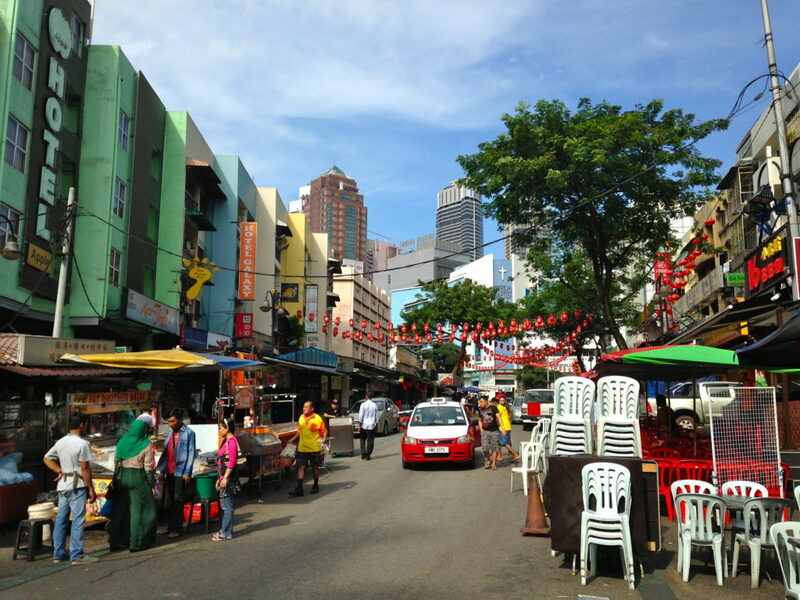 Jalan Alor is located in Bukit Bintang as well as the famous Pavilion KL shopping centre. For the best bars, pubs, and clubs in the city head to the street Changkat Bukit Bintang. And make sure to check out Berjaya Times Square. It’s a huge building with shopping and restaurants and is the fifth largest building in the world. There’s even a theme park inside! And at night, all of Bukit Bintang is all lit up and buzzing with the excitement of a fast-paced city! Since I only had limited time to explore KL, I unfortunately couldn’t make it to the Batu Caves that are just outside the city. But they top a lot of lists on what to see in Kuala Lumpur, so if you can, definitely try to fit them in. 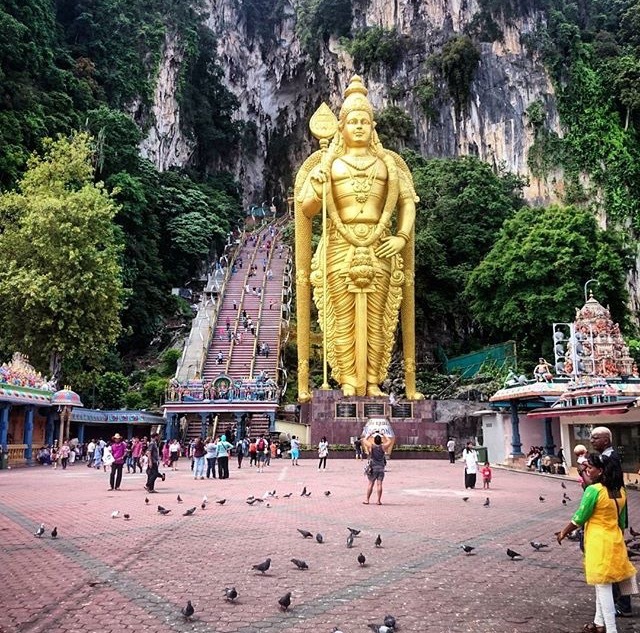 The caves are carved into a big limestone hill and are dedicated to Lord Murugan—the Hindu god of war. It’s one of the most famous Hindu shrines outside of India. To reach the shrine, you need to climb 272 steep stairs but it looks beautiful and definitely worth the effort. And if you are into rock climbing, the caves offer 160 different climbing routes around the area. 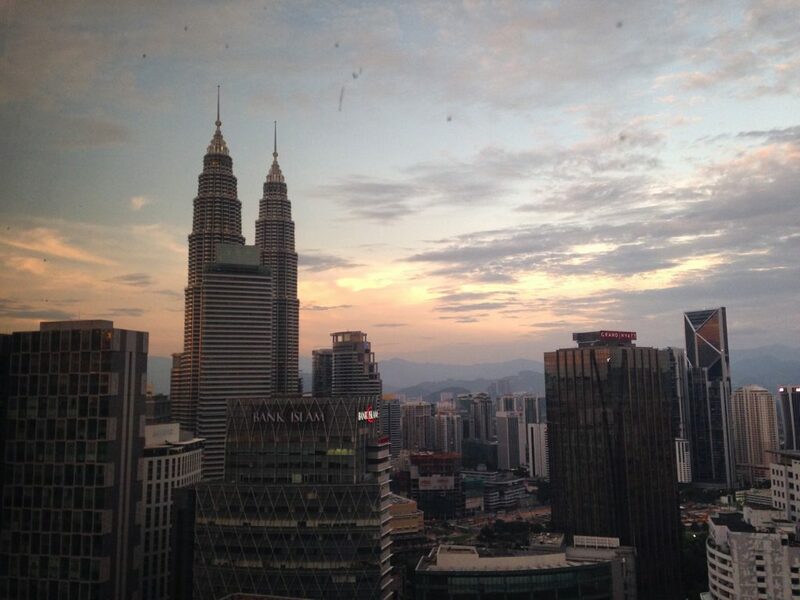 When I arrived in Kuala Lumpur, I got some recommendations through Instagram on things to do there. One place someone recommended to me was to go to the Heli Lounge Bar for sunset. I did, and it was possibly my favourite place I went in all of KL! The views are amazing, and they make some great cocktails there. I went for their most popular cocktail, called the Star Kiss, and it was delicious. Get your drink from the main floor of the bar, and then head up to the rooftop to see the amazing view of the city skyline. One of the main ways to get around central KL is on the monorail. It’s not a super exciting tourist attraction, but I haven’t been to many cities that have a monorail, so it’s cool to experience! 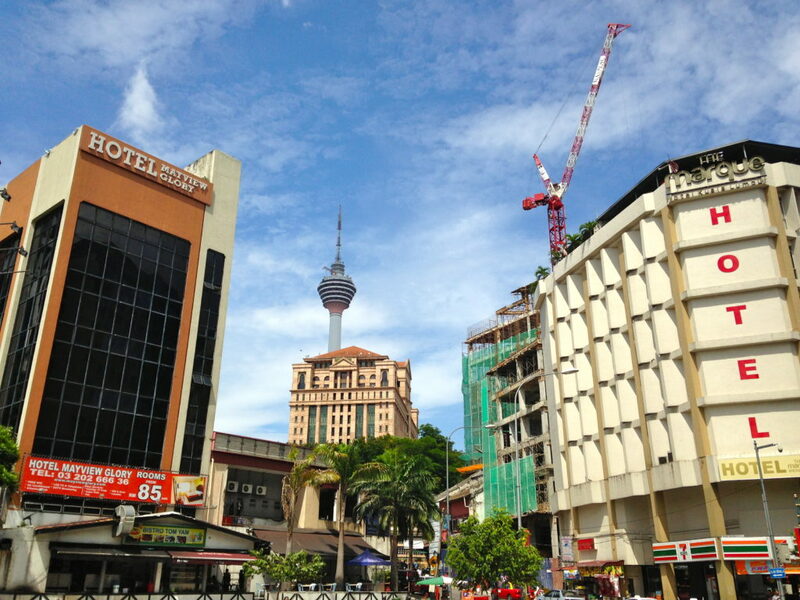 For a nice mixture of old architecture combined with the modern skyline, head to Merdeka Square. There is a big park surrounded by old buildings that have a really pretty Middle Eastern look to them. It’s a good place to sit and relax between sightseeing, and make sure you snap some pics with the I <3 KL sign! 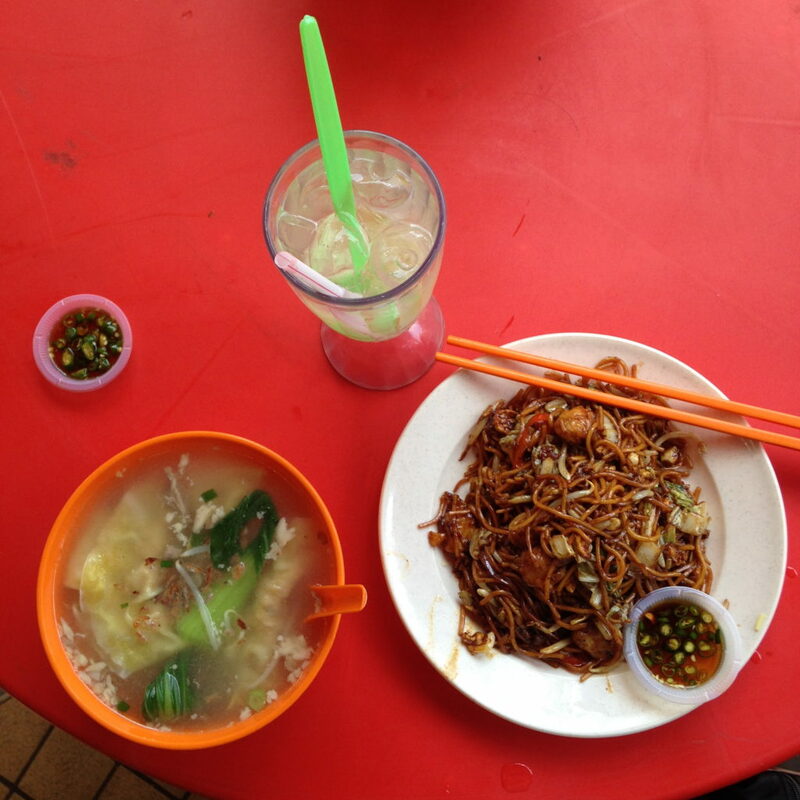 Along with all the places above, one of the best ways to experience the culture of Kuala Lumpur is through its food. They take their food very seriously, and for the amazing prices you can afford to splurge on big meals! Some things you should try in KL are nasi lemak, nyonya chicken curry, chicken satay, laksa, and any and all fried rice/fried noodle dishes! 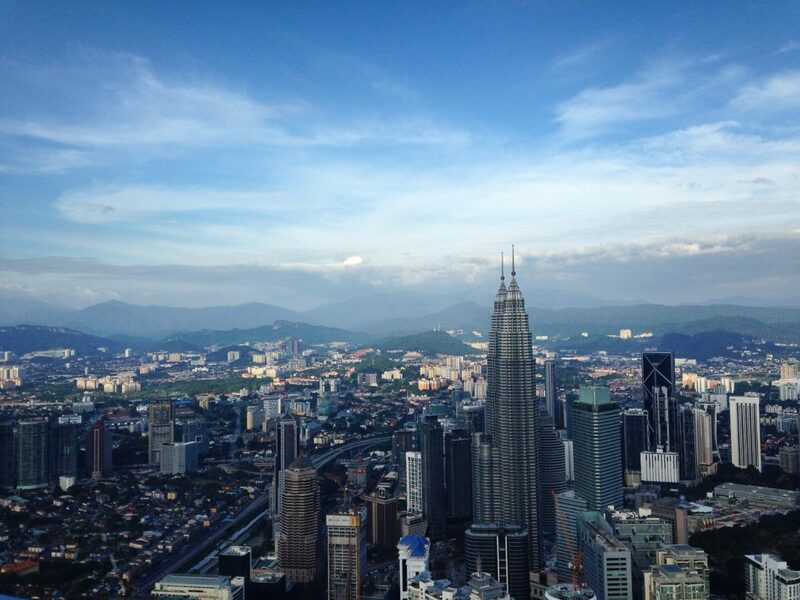 I had a great time in Kuala Lumpur and can’t wait to eventually return and see more of Malaysia. Compared to some other cities in Southeast Asia, I think a few days in Kuala Lumpur is all you need to see everything. Then you should head off into the countryside to experience the even more authentic side to Malaysia! If you’ve been to Kuala Lumpur, what were your favourite parts of the city and what would you recommend to other travellers? Let me know in a comment! 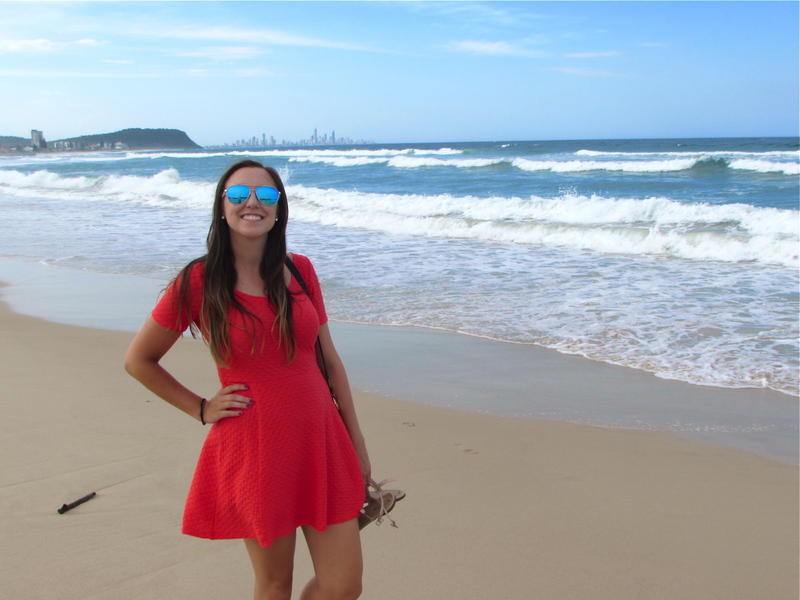 Hi I’m Christie, a 26 year old girl originally from Boston who has spent time living in New York City, North Carolina, France, Australia, and New Zealand. 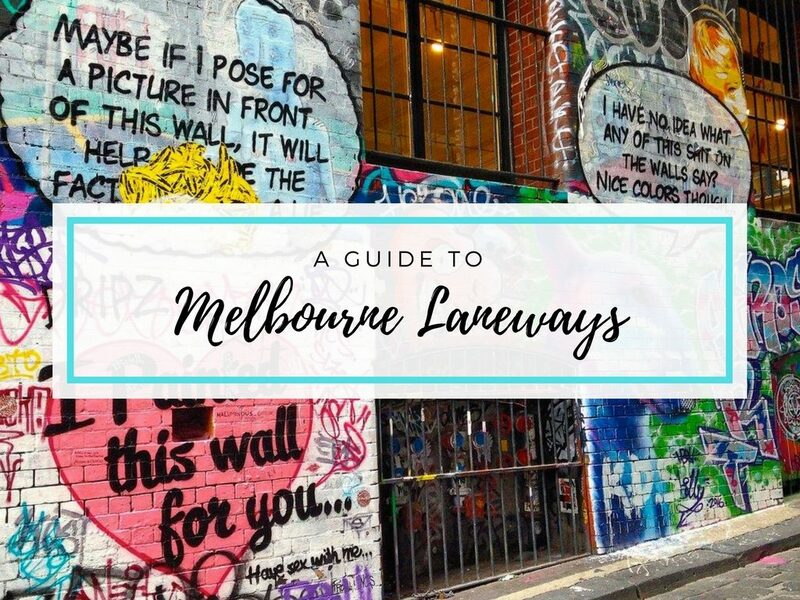 I love moving to new places and exploring them as a local, and I can’t see my nomadic expat life stopping any time soon! I have no bigger passion than travel, and when I’m not exploring I spend my free time reminiscing on past trips and daydreaming about future travel. Thank you for this article! Hi! I’m Christie, a 26 year old girl originally from Boston who has lived all over the world. I love living abroad and experiencing different places as a local. 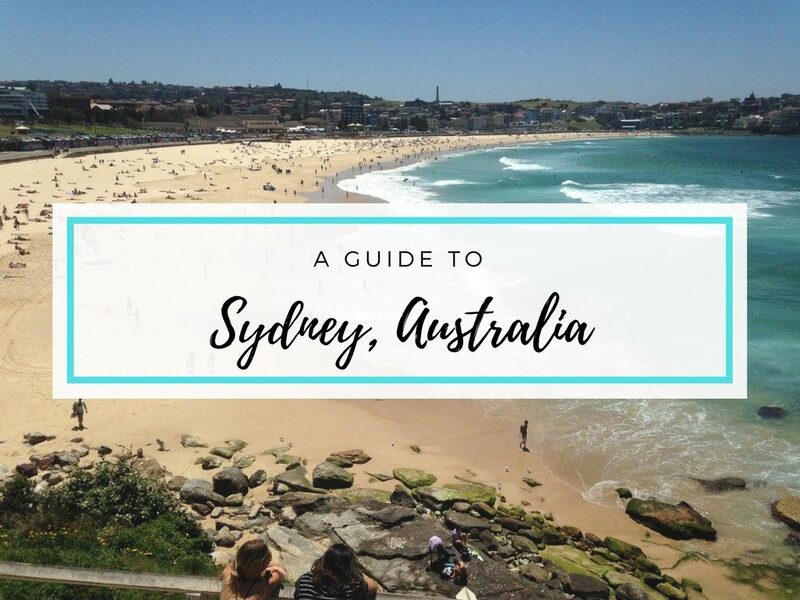 I have no bigger passion than travel, and when I’m not exploring I spend my free time reminiscing on past trips, daydreaming about future travel, and sharing it all here on Girl Sees The World. Subscribe to be the first to know when I upload new content!